Slotnite is a trendy online casino which appeals to a diverse group of players. While it offers the latest in technology, including video slots and live dealer games, players can find classic games too. The casino knows what it takes to attract players in today’s world, and it is prepared to deliver it. Perhaps the most important, how is the game selection at Slotnite? 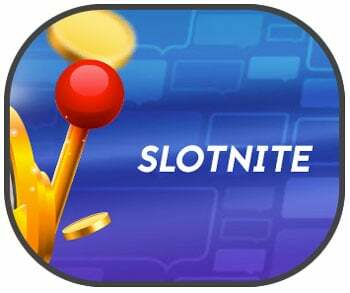 There are several categories of games at Slotnite. When signed into their account, players can put together a list of the games they love the most. Those games are then listed in their favorites, allowing access to each one with the click of a mouse. At the same time, any player can view the top games at the casino. This list is updated often, so players always know which games are trending. They can also check a separate section that lists all the latest additions to the casino’s game collection. So far, some of the most well-known video slots the casino offers include Starburst and Gonzo’s Quest. These are just two examples of the high quality video slots the casino offers. However, table game players can get just as much out of their experience. They can enjoy live dealer and automated versions of Roulette, Blackjack and Baccarat. Several versions of Poker are offered also. Live dealer games are available 24 hours a day, just as all the casino’s other games are. Since the casino offers so many games, there are three ways to search the collection. Players can use the search feature to find a game by title. They can also peruse the alphabetical list of every game the casino offers. Those who prefer games by a specific software company can search for their games within the casino’s collection. Whichever method they choose, players will have no trouble finding the games they really want. While Slotnite appreciates every registered player, they offer extra perks to those who become VIPs. When players have demonstrated their loyalty to the casino, they may receive an invitation from the casino’s customer service department. It will invite them to become a VIP member. If they accept the invitation they have their own VIP manager assigned to them. This person assists VIPs in taking advantage of everything the program has to offer. These include promotions and bonuses not offered to other players. To get started with the casino, players are urged to make payments into their account. They can do this by choosing from one of several methods. Though the most popular choices are Visa and MasterCard they aren’t the only ones. Other options include e-wallets such as dotpay, Skrill, Qiwi Wallet, Web Money, Skrill, Trustly, Paysafecard and more. Players must meet the minimum deposit requirement for the payment method of their choice. Nearly every payment method accepted allows players to access their deposits instantly. When players have questions or concerns about a casino matter they want answers. The way they can get them is to email the casino or start a live chat. These options are open even to players who don’t have a Slotnite account. The email support is monitored at all times, so players should be able to get a response quickly. However, to address their query instantly, the live chat feature is convenient. Players can type and send a message that will promptly be answered by a customer service representative. With one click, players can end a live chat conversation. They can even choose to have a transcript of the conversation sent to their email. There is no lack of entertainment options at Slotnite. The games have everything modern players are looking for. With new games added frequently, the casino stays on the cutting edge. They work with some of the biggest software companies in the industry to build their collection of slots and table games. Though this casino may not run as many promotions as their competitors, those it does run are always exciting. Players that continue to visit the casino will never be disappointed. Between new games and enticing promotions, Slotnite can keep even the pickiest of players coming back for more. The casino is committed to offering players a high-quality experience that other casinos don’t match. An increasing number of players are flocking to the casino.